At any given time, the last 20 weeks or so either feel like they have blown by quicker than I could blink or crawled by at a pace that would make a 3-toed sloth laugh. 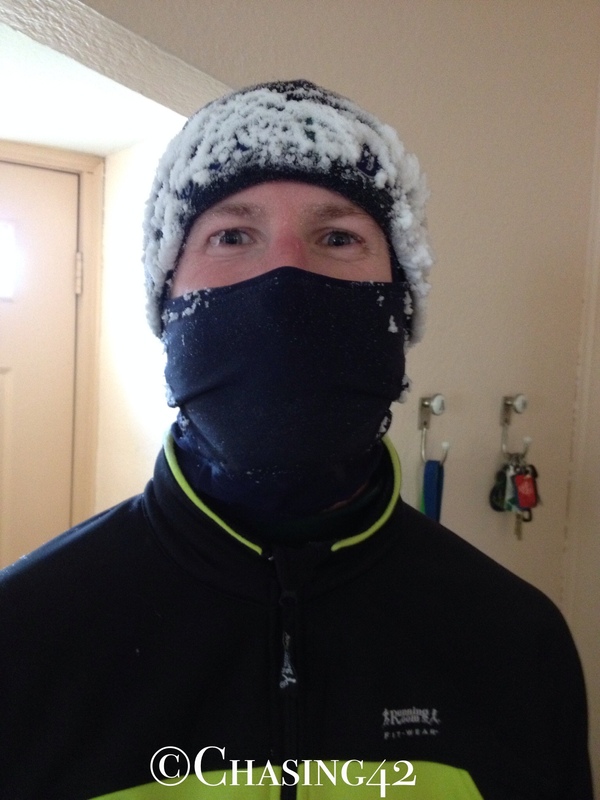 This weekend, I tackled a sub-zero marathon on Saturday, and then slogged through a snow-covered follow-up run on Sunday. Each had their highs and lows, but they were good training runs and I’m feeling strong. More importantly, this weekend marked my last long back-to-back weekend, which means I now have the long-awaited joy of tapering! Did I say joy? Maybe I meant disdain. You see, the psychological and physical aches and pains that tapering, combined with a long and intense training season, bring, seem to have grown to proportions I haven’t experienced before. This obviously led me to wonder if there might be more to my extended tapering pains. The result is a theory that will no doubt win me accolades the world over, so I guess y’all should feel honored that I’m sharing it with you first! Perfect weather for a marathon, eh? Aside from the vehicle-induced aches and pains I recently incurred, I’ve noticed that the phantom wandering pains that typically arrive during my taper period came much earlier this time around. I probably started feeling various issues about 5 weeks ago, and they’ve been flowing through my body ever since. My right Achilles was acting up, and then it was my left forefoot, along with both of my knees at various points, and my groin before that. I’ve monitored all of these issues, and they’ve gradually dissipated and then disappeared altogether. However, they seemed to begin around the time I really started to look forward to my upcoming trip to Arizona and Across the Years. I’ve written before about battling the injury gremlin, and this most recent ongoing battle led me to wonder if the fact that everything was happening earlier had anything to do with the increased distance I was running. I mean, I will be attempting to run longer than I’ve ever run before, and the entire race experience will be brand new. I’ll be stepping into uncharted territory, much like all of my other running firsts. Perhaps my body knows this, and it began making me hyper-aware of every ache and pain that much earlier as a result. 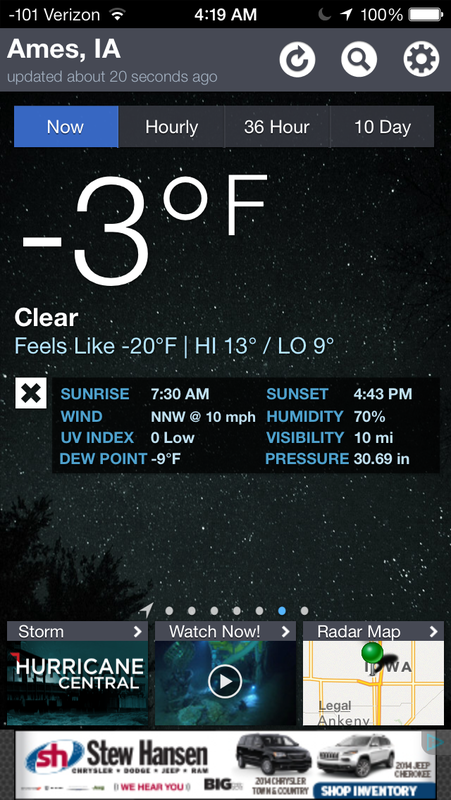 I think winter is finally here. Now I should be clear that my sample (methodology) is one of convenience (me) and these results may be limited to my own well-being (limitations). 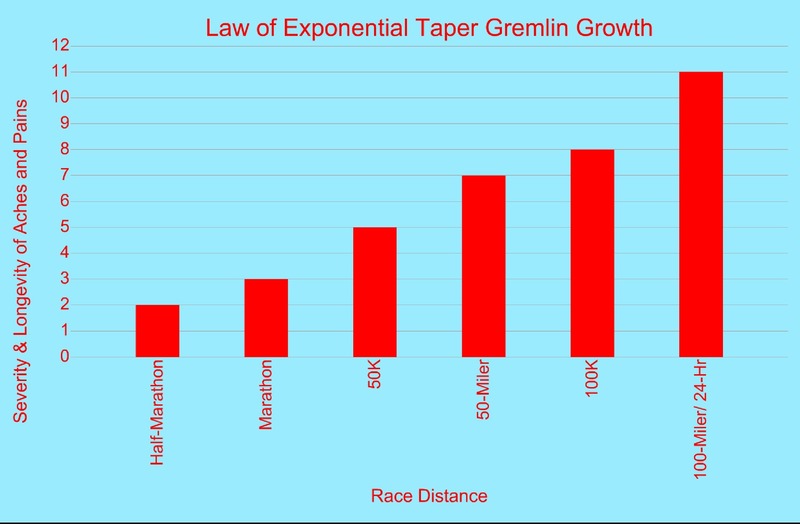 However, it seems fairly clear at this point that the longer the race, the longer the tapering aches and pains. This wouldn’t be horrible, except for that fact that I’m still only tapering for the next three weeks, which means I have been left to deal with the drawbacks of a taper, while still logging long distances. This hardly seems fair! If a graphical representation hasn’t made this new, highly scientific discussion clear, I will also include a more detailed explanation (discussion). Ultimately, I think I can work through the following race distance stages. Stage 1 (Half-Marathon): I’m ready and feeling good- let’s go! Stage 2 (Marathon): I could sure use a massage, but let’s knock this out! Stage 3 (50K): I think my knees could definitely use the rest. Stage 4 (50 miles): My back, knees, and shins are definitely feeling the training, but I’m ready. Stage 5 (100K): Thoughts of seeing a PT or podiatrist creep in a few times a week. Stage 6 (100 miles/ 24 hours): Those thoughts are happening daily. Can I just taper in the hospital to be safe? After what can definitely be called an exhausting training period and academic semester, I’m definitely ready for my taper, as well as a bit of rest before January hits. Ultimately, I know the various aches and pains come with the territory, and I’ve put my body through a lot lately, so it has earned a more relaxed schedule. My endurance is up, and I’m as ready as I’m gong to be for this race, so focusing on the planning, organization, and nutrition will gladly fill my thoughts for the next three weeks. In my free time, perhaps I can shop this “law” around to various scientific journals. This publication showing up on my vita would definitely turn some heads! Running is a physical and mental sport. After several marathons and other races, I am very well aware of this fact. In order to go out and run a race or train for any sizable amount of time, regardless of the weather conditions or your excitement, you need to play the mental game. You are ultimately fighting the Gremlins in your head. For me, one of the worst Gremlins is the “injury gremlin” and he typically emerges when I begin to taper close to a race. Suddenly every small pain and creak in my body has more meaning than it should. I’m not a fan of him. 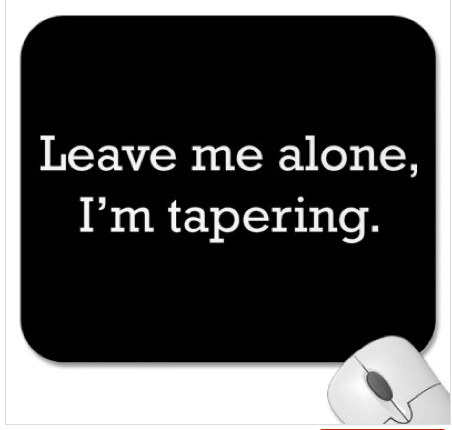 Did I mention that I just entered my taper? After hitting the pavement harder than ever before over the past three months, the time has finally come for me to enter the simultaneously coveted and difficult period of tapering before my race on April 21st. I have thoroughly enjoyed pushing myself with weekly mileage increases and I’ve seen marked improvements in my endurance and speed along the way. However, I’m not going to lie- I’m a bit excited to regain a bit of time in my life for other activities! 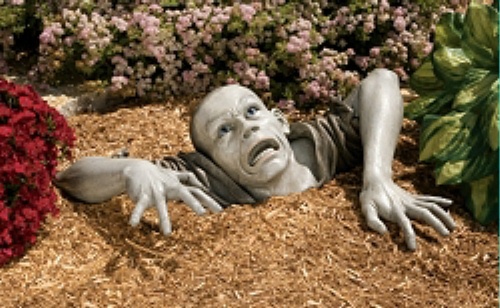 This is especially important since Spring has sprung early and there is plenty of work to get done outside so the lawn doesn’t turn into something out of a children’s horror film. At any rate, I’m going to be working very hard over the next few weeks to taper intentionally. I’m going to be following a strict running schedule, and not succumb to the temptation to squeeze in a “few more miles” even though I know the competitive spirit in me is going to want to push on. I’m also going to try and squeeze in some more cross-training, with cycling being my preferred method. It can be a great low-impact workout that helps to maintain your cardio and endurance, and strengthens your legs without the stress of pounding the pavement. So, as I maintain my level of fitness and endurance and prepare myself for the race to come, I’ll be doing my best not to let the “injury gremlin” creap into my head and mess with the hard work I’ve already put in. 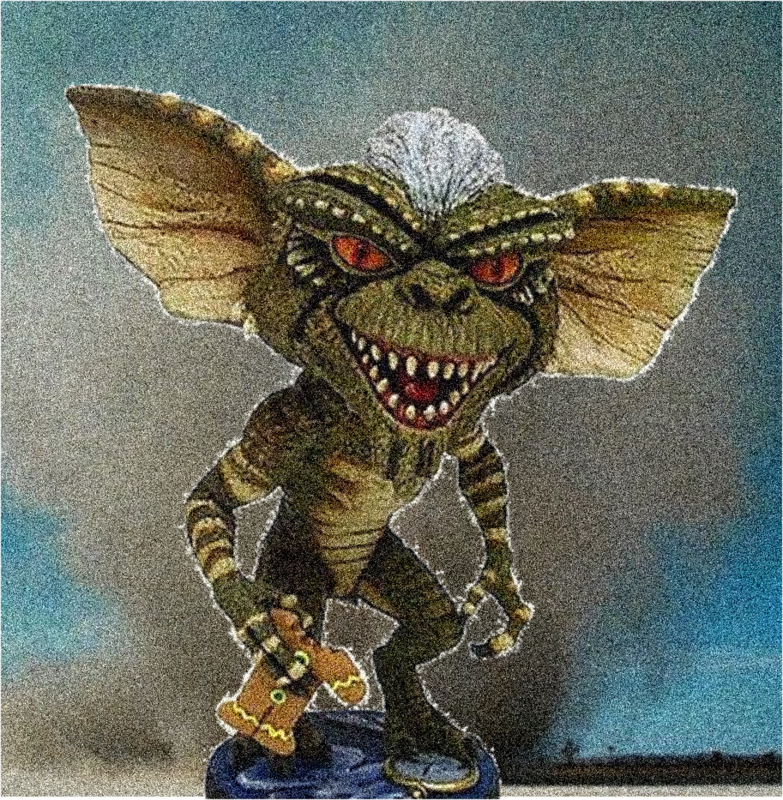 As is always the case when defeating a gremlin- just add water!